Harry is the Executive Director and a coach for The Christian Teacher Academy. He recently completed a Masters of Education investigating the role of Technology in Project Based Learning by creating a series of how-to videos providing tools for teachers. For many years, Harry has been working with teachers in Professional Development as they discover Protocols, Project Based Learning, and various technologies. Along with his work at The Academy, Harry teaches computer technology and business at Hamilton District Christian High. His students’ projects include a community vegetable garden (grade 9 math and business), making robots that help people (grade 11 computer science), and the programming of video games as students discover why they take so long to make (grade 11 and 12 computer science). The energy and support from HDCH, attending various Buck Institute workshops, and being a part of the Education Leadership Academy at High Tech High continue to shape Harry’s work and use of PBL. Kimberly Furtney has been teaching Music, History, and Bible at Unity Christian High School in Barrie, ON, for the past eleven years. She is a graduate of Redeemer University College (2004) and received her teaching certificate from Christchurch College of Education in New Zealand (2005). She can also be found singing at her piano, leading worship at her church, reading an interesting book, or travelling to a new place. Kimberly loves seeing students get excited about learning and finding new ways to create authentic learning opportunities. She is passionate about Christian education and using project based learning with her students. Project based learning has taught her that students desire to own their learning experiences and, given the tools, guidance, and appropriate challenges, they can truly shine, grow, and be proud of the beautiful work they have created. Kimberly will be involved in coaching Odyssey 101 at the Academy. Kristyn Kamps has worked in the field of education for almost thirty years — first as an elementary teacher and then as a middle school Science, Technology, English, and Social Studies teacher. She has most recently taught in Holland, Michigan, and since moving to Grand Rapids, her focus has shifted from teaching in a classroom to working with teachers as an instructional coach and workshop facilitator. Kristyn loves learning and is currently pursuing her masters degree in the area of curriculum and instruction. Her graduate courses continue to confirm the need for moving toward a greater contextualization of content that provides richer, more meaningful learning experiences for our students — exactly what happens when students engage in PBL! Kristyn will be involved in coaching Odyssey 101 at the Academy. ​After teaching in high school for a number of years, Justin is now pursuing learning for flourishing communities as the Director of Learning at the Ontario Alliance of Christian Schools (OACS). That involves all learners in the community — both students and adults — supporting each other to pursue the three dimensions at the core of the Academy PBL model: culture and character, mastery of knowledge and skills, and beautiful work. When these three things come together, both the individual and the community are changed. At home, Justin, his wife, Rachel, and their three beautiful children love trying to live intentionally in their neighborhood: practicing hospitality, walking to church, and feasting with friends. Justin attended Redeemer University College and Calvin College and is currently an M.A. candidate at the Institute for Christian Studies in Toronto, ON. Justin will be involved in the coaching of Odyssey 201 at the Academy. Jonathan DeVries is an art educator at Hamilton District Christian High, an instructor at the Christian Teacher’s Academy, and a recent winner of the John Rozema Group Excellence in Teaching Award. He majored in studio art at Redeemer University College and earned a master’s degree in art education at the University of Western Ontario. He is passionate about facilitating his student’s learning to shape the city of Hamilton through PBL projects. At home, Jonathan, his wife Monica, and their three boys love to spend time outdoors: raising chickens, riding bikes, working on projects, and gardening. Jonathon will be involved in coaching Odyssey 101 as well as Odyssey 201 at the Academy. Justin Versteeg has been teaching grade 7 students for 12 years. The past eight of those years have been spend at Providence Christian School. Before that, he spent time teaching at Bowmanville and Charlottetown. He received a B.A. and B.Ed. from Redeemer University College (2003, 2004). He also spends some of his time playing guitar and leading worship at his church. Justin loves seeing the passion in his students when they see how their learning can have an impact in their school or in their community. He believes that PBL is the best way to stoke that passion. He has been involved in the Christian Teacher Academy first as a student and then as a coach. To help him along the PBL journey, Justin has attended a Deeper Learning week at High Tech High in San Diego. Justin will be involved in coaching Odyssey 201 at the Academy. Cara Barwell has been teaching grades 1, 2, and 3 at Timothy Christian School in Owen Sound, ON, for 4 years. Having first been introduced to Project Based Learning through Ron Berger's "Ethic of Excellence" and some in-school professional development, she has become increasingly passionate about PBL since attending the Christian Teachers Academy and experimenting with projects with her students. She loves seeing students take ownership of their learning while engaging in authentic learning experiences. Beginning PBL with primary students often feels like embarking on an adventure to the unknown, but she has learned to be accepting of the uncertainty and counts it a privilege to learn right alongside her students. When she's not teaching, Cara loves to spend her time as an auntie to to her niece and nephews or dreaming of possible travel destinations. Cara will be involved in coaching Odyssey 101 at the Academy. Hannah VanderWier teaches grade 7 and 8 at Dunnville Christian School. She grew up in Southern California and moved to New Jersey just before grade 8. She met her husband, Nathaniel, at Dordt in Iowa, got married, taught in Nicaragua for two years, moved back to her husband's native area, and started teaching here in Ontario. Hannah has four kids ages eight to fourteen. Five years ago, she went to the Teacher's Academy and discovered that PBL is effective and exactly how God is calling her to teach. Hannah has implemented many small and a few large projects that have allowed her to see growth and excitement in her students. Their work is meaningful and they are discovering that they can make a difference in the world that they live in. Hannah will be involved in coaching Odyssey 101 at the Academy. Eric has been working in Christian Education for about 15 years and is still amazed at some of the learning that is happening and projects that his students are doing every day in his classroom. Over the last number of years he has been working within the PBL model of education and is excited about the potential it has to better prepare our students for their futures. Eric will be involved in coaching Odyssey 101 at the Academy. Aaron Vedder has been an English teacher at Hamilton District Christian High for the past four years. He is a graduate of Redeemer University College (2013) and is currently pursuing a Masters of Education at Dordt College. He has been involved with the Christian Teachers Academy since the beginning, either as a student or a coach. Aaron loves the opportunities that PBL provides for the variety of learners in schools today. At home, Aaron enjoys bike rides and watching hockey games. Aaron will be involved with the coaching of Odyssey 101 at the Academy. 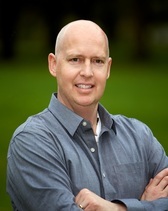 ​Nate Van Kampen has served as a coach at the Christian Teacher’s Academy since 2013. He has taught ESL and English in Taiwan and Canada for 10 years. Currently, he teaches at Hamilton District Christian High, where he is always tinkering with ways to more effectively implement engaging projects, especially around storytelling and identity. He holds a M.Sc in Education from Daemen College and an ME. from Brock University. Away from work, Nate loves to spend time exploring Hamilton with his wife and two young kids, running with a group of friends, and reading the occasional piece of good fiction. Nate will be involved in the coaching of Odyssey 101 at the Academy.